It ain't no fancy French word. It's 'Murican and a combination of "merit" and "heritage". And now you know. 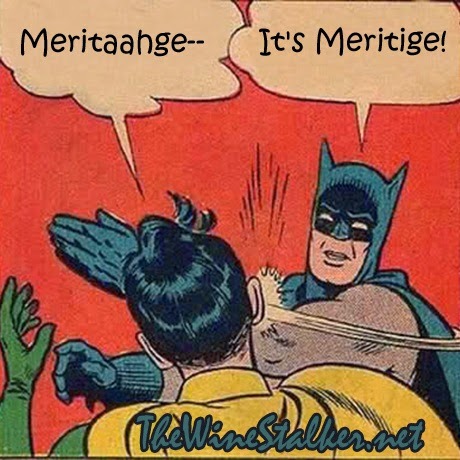 For proper English pronunciation Batman should be saying "Meratij" but that just looked wierd. Sorry, boss.